haha that's awesome. I'm sure my son would do the same if I end up purchasing one. I'm sold, will be putting in an order after I pick up all my new Ork stuff. 'Eavier Metal. A Facebook group for miniature painters. Skullchewer's Freebooters! 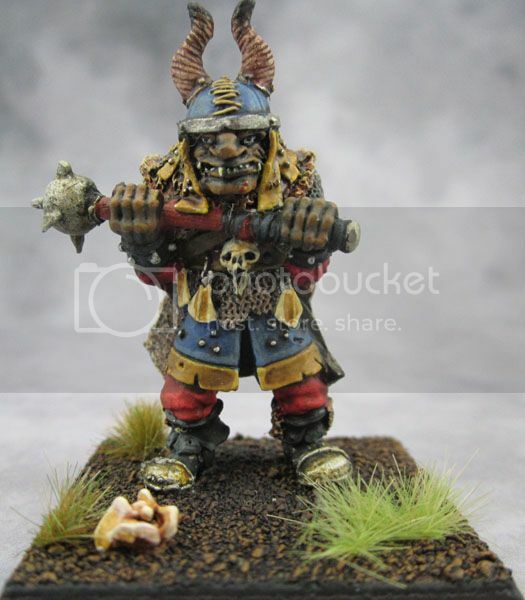 Ork painting, and scratch terrain building blog. 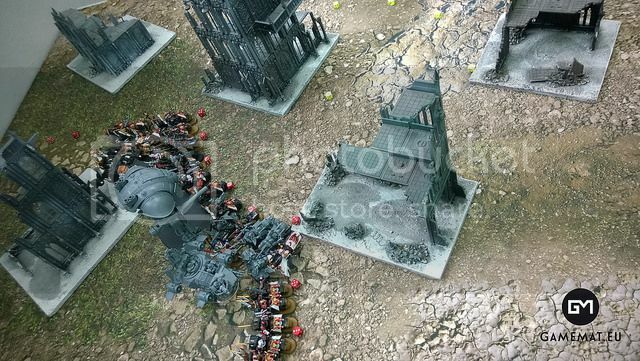 been considering purchasing one of frontline gamings battle mats, are these two( yours and theirs) pretty much the same? One can say it is very similar material wise. Both are specified as "rubber based mats"
Very interesting ! Do you have plans for 4X8 mats ? So far probably 4x8 seems a bit unusual size. What game is it for, please? It is for Warhammer Fantasy Battle and Warhammer 40K. I know tournament are almost always played on 4X6 tables but I'm pretty sure a lot of us like to play none tournament games on bigger tables. Maybe a limited run of 4X8 mats would be possible ? Beautiful mats. Possibly the nicest I've seen so far. 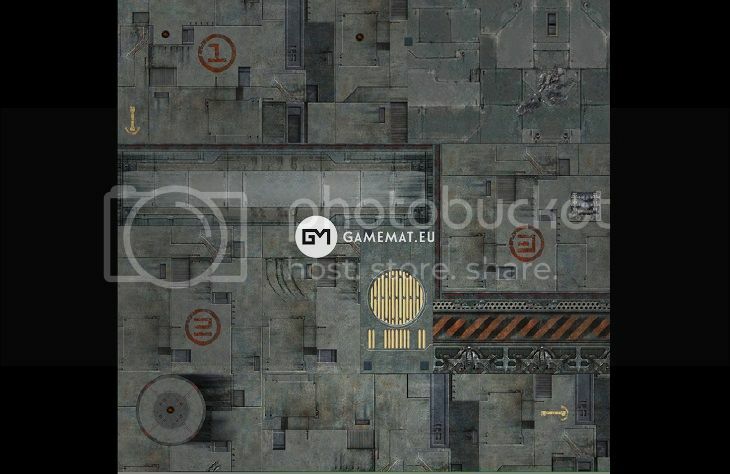 I would likely pre-order the 4x4 wastelands map. Any plans on making a 4x6 version of that wastelands, as well? Any ideas on expanding the line? Rural farm areas, industrial sludge zones, all sorts of things? I'd would pick up a 6 x 4 cityscape one with roads for 10mm Dropzone commander in a heartbeat. as someone who recently bought 2 of these beauties recently I must say for their cost, absolute bargain. I bought the chaos city (cos who can resist that) and the grassy dried patches one. Insane quality. Thick enough to not worry about tearing, and robust enough to take the hammer us gamers throw at em. Added bonus btw. Dice dont hit it and bounce off into the warp either! Oh and it took 5 days from ordering to my front door. Poland to rotherham in 5 days. pity not all companies are that quick huh. Thanks a lot! I will let you know when we prepare pre order option and exact conditions. It would be lovely to do more and more designs, as it really is fun part seeing the graphic concepts materialize in a battle on table. But I need to keep things real from start as I need to see these first mats flowing to customers. Like, us, share us..the more people know the faster we can produce more stuff. That is a word of a man! Thanks a lot! I would keep that as an example of customers feedback! That would be certainly a bit of work for us as I did not dig into dropzone commander universe yet. But thx for ideas! a few more genric stle mats would increase ya sales id say. Desert, snow(frozen) lands, lava scorced etc. I'd love to see your take on a snow board. Could I request a "not" Risk mat? Seeing the way 40k is going I think im just going to use the minis I have left to play a good table top game. What are the different postal costs for one mat or two mats to Australia? Aside from the fact that I do my own bases like this, it seems reasonably common for others as well. That mat looks great, and I'm considering it anyway, but I can tell it's still very light compared to the bases. Thank you for the postal quotes! However, the quality of the artwork is not good enough, on the battleground mat, the repeating pattern of the grass is clearly visible, as if the same tiny patch of grass has been photoshop clone-tooled over and over and you can clearly see it form a grid pattern on the mat. There are two patches of identical rocks copy+pasted as well. People are always moaning about balance, and it doesn't get more even than that! Srsly though, I can see the rock dupliacation but only becuase it's been pointed out. I can't see a grid grass pattern. I'd check it out on my turbo HD monitor at home... but be honest, how much of the board do you see when your playing? Lutharr101 wrote: Poland to rotherham in 5 days. Isn't that an Arctic Monkeys B side? Member of the "Awesome Wargaming Dudes"
I googled that up Rotherham ..... The town is mentioned in the Arctic Monkeys' song "Fake Tales of San Francisco"
Could you do the same for Canada please ? Thanks ! That is! Basically even box of paints ordered from germany to poland, some 1000km costed me 20 eur! we got a bit wild designing new 4x4 wargaming mat. Would appreciate any feedback. 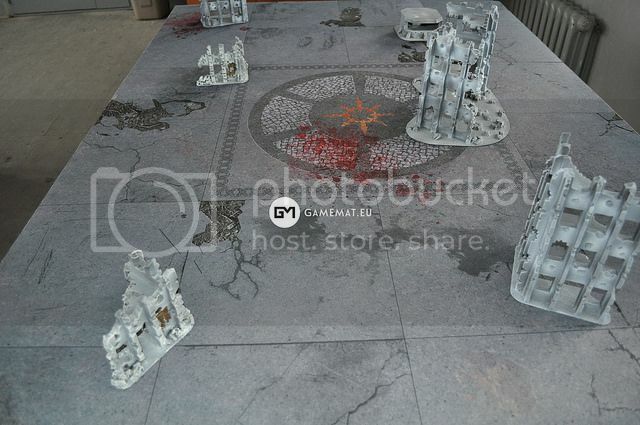 can imagine infinity game or necrons playing this mat? Looks more like its suited for Necromunda! The general consensus is that Infinity games are best played with the scenery, roads, etc. at a 45 degree angle to the sides of the board. It looks good though. thought it could be more scifi style as infinity is? Will you be making a 6x4 version of that Tech Mat? I'm also interested in seeing what you do with a star field/space mat. I have a green fields and a desert mat already, with modern and medieval urban tiles coming, but space mats and diagonal-gridded urban/sci-fi are both things I'm interested in. Now we want to add 2-3 4x4 mats. Hope people will like it more and more and we grow in types and styles. Space mat is also still a question of 1-2 mats probably. And diagonal gridded urban mat you mean? Probably our 6x4 Mayhem Square not that you looking for? That would be a mat with the urban lines/streets in an "X" or diamond shape instead of a + or square - as the one above is. The one you show looks very nice, but I already have 4 sets of table tiles in the square format coming. What do you mean about 1-2 mats for space? I have been looking for a good quality mat for X-Wing, because I don't like the thin material that the GF9 ones are made of. Your material looks ideal to me. Just needs to be released and look good. aa sorry I meant to produce space mat would take around 1 month maybe 2 months. And you think what is ideall size for space mat 6x4? 4x4 or 3x3? Also is better plain space design or ea moon/planet surface? I think starfield with colourful nebula in the background would be the best bet to start with. If you do two designs, you could go for a planet or two in the background. Moonscape or planetary surface could just be regular mat designs, for 40k, etc really.